Zero ZF14.4: Maximum torque, performance and range. Upgrade to Zero’s fiercest power plant, the Zero DSR produces 116 ft-lb of torque and runs at higher sustained top speeds using an enhanced motor and higher amperage motor controller. Charge 6x faster: Grab lunch. Have a coffee. Recharge. Live your life while adding up to 94 miles of range for every hour you’re plugged in. The Charge Tank accessory is compatible with Level 2 charge stations and delivers roughly 6x faster charging than when compared to a standard wall outlet. Depending on the battery, a typical recharge can now take as little as an hour. Charging. Meet household outlet. No special equipment required: your standard household outlets can be used as fueling stations for a fraction of the cost of gasoline. Plug in at night and start the day with a full tank. 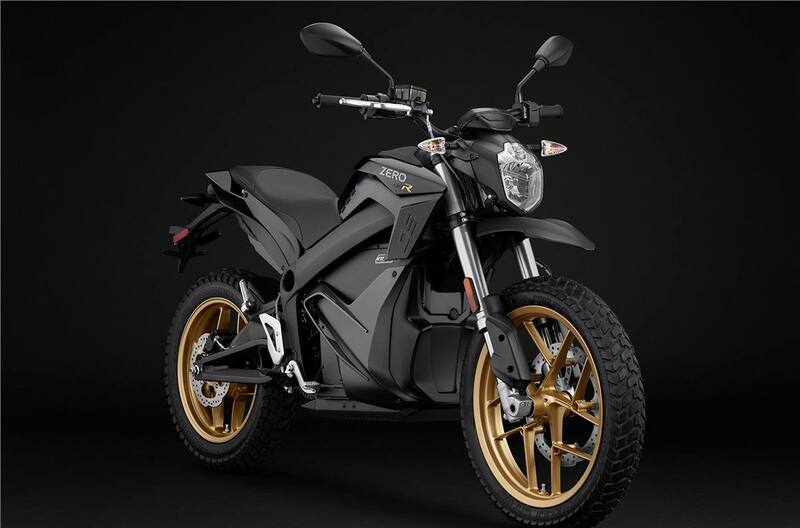 Battery: Zero Motorcycles’ Z-Force® battery is the most power and energy dense in the EV industry. The Zero DS battery is available in three sizes: ZF7.2, ZF13.0, ZF14.4 (Zero DSR only). Add a Power Tank accessory to expand battery capacity by 3.6 kWh. Every Zero battery is backed by a five-year, unlimited mileage warranty. Motor: The impressive Z-Force® motor produces smooth power and up to 116 ft-lb with a design so efficient it only requires passive air-cooling. Roll on the throttle for massive acceleration. Roll off the throttle to progressively channel energy back into the battery. No heavy, complicated or expensive liquid cooling. No fuss. No routine maintenance. This is the industry’s most efficient, powerful, and compact brushless motor. 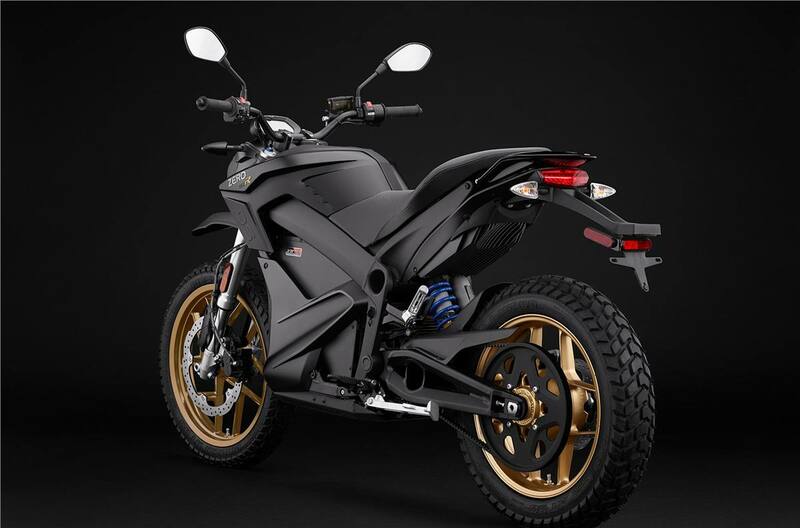 Chassis: Featuring a twin-spar aircraft-grade aluminum chassis, the Zero DS’s frame offers superior torsional rigidity. 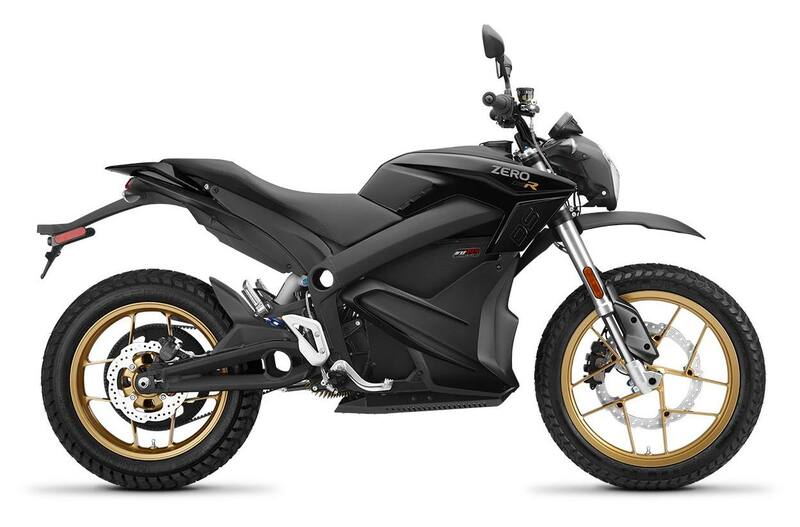 Suspension: Custom-tuned for Zero by Showa, the Zero DS suspension offers 7 inches of plush travel that enables you to tackle virtually any terrain thrown your way. The entire suspension system can be fully and easily adjusted to glide over any city street or rip down your favorite fire road. Dash: Minimalist. Modern. Efficient. The Zero DS dash projects the specs you need— speed, state of charge, power output, selected riding profile, projected recharge time—in a cool blue LCD display. Sync with your smartphone to add a secondary customizable dash or view detailed ride stats. Tank: The standard Zero DS “tank” is equipped with spacious lockable storage—perfect for stowing personal items like cell phones, wallets, or gloves. Interested in faster charging or greater range? Swap the standard tank for a Charge Tank accessory for 6x faster charging or a Power Tank that adds an additional 3.6 kWh of battery. 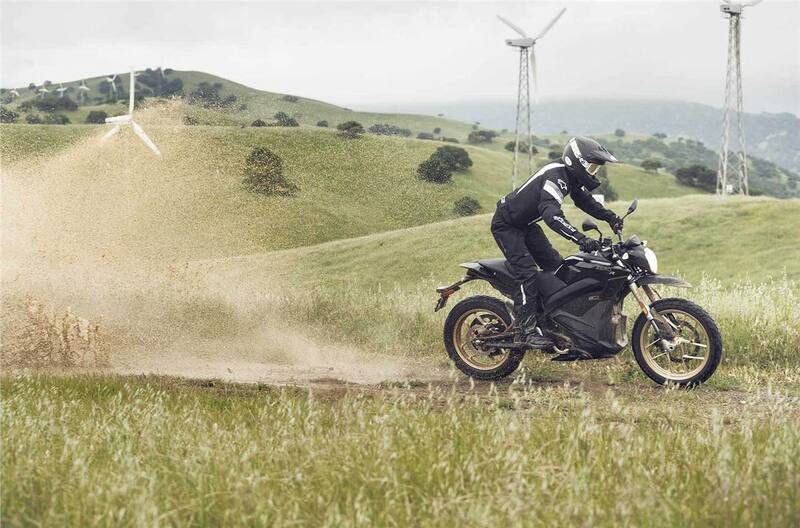 Wheels and Tires: Shred confidently on anything from twisting tarmac to loose fire roads, the Zero DS’s Pirelli MT-60 tires provide superior traction, excellent durability and road feel. The tires are mounted to durable cast alloy wheels and a hollow front axle shaves unsprung weight to improve handling. Pricing does not include government incentives. Does not include local shipping, applicable taxes, PDI, or road registration fees. See your dealer for additional details about powerpack or standard warranty. Specifications are subject to change without notice. Imagery may not reflect most current product specifications. 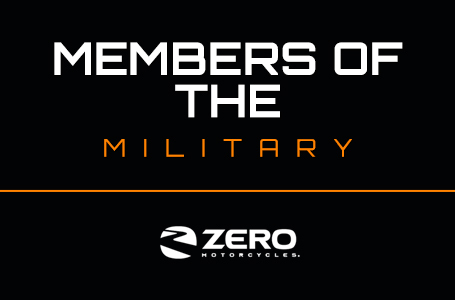 Zero Motorcycles reserves the right to make improvements and/or design changes without any obligation to previously sold, assembled or fabricated equipment. Thank you for your service! 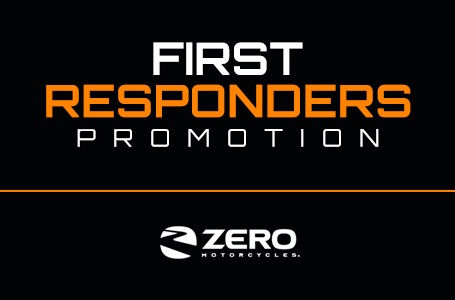 Qualifying first responders will receive an incentive of $500 for Zero S, Zero DS, Zero SR and Zero DSR models or $250 for Zero FX and Zero FXS models at the time of purchase. Who Qualifies? United States federal, state or local officers/agents, sheriffs, highway/border patrols, firefighters and EMS personnel. Must have a valid first responder/government ID. Must be able to provide a copy of current payroll record to dealer (SSN must be redacted). May not be combined with the following programs: Military Purchase Program, Motorcycle Riding Instructor Purchase Program, MSF/CMSP Student Rider Purchase Program and VIP Purchase Program (“Special Sales Programs”). Thank you for your service! Qualifying military members will receive $500 for Zero S, Zero DS, Zero SR and Zero DSR models or $250 for Zero FX and Zero FXS models at the time of purchase. Who Qualifies? Active members (including active reservists) of the US Armed Forces. Must be able to provide a copy of Leave and Earnings Statement to dealer (SSN must be redacted). 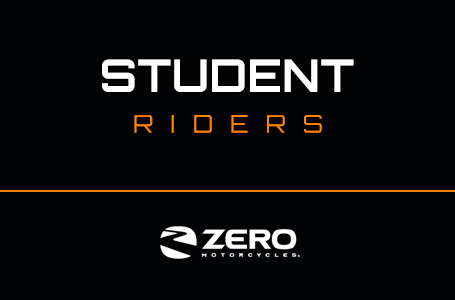 May not be combined with the following programs: First Responder Purchase Program, Motorcycle Riding Instructor Purchase Program, MSF/CMSP Student Rider Purchase Program and VIP Purchase Program (“Special Sales Programs”). Who Qualifies? 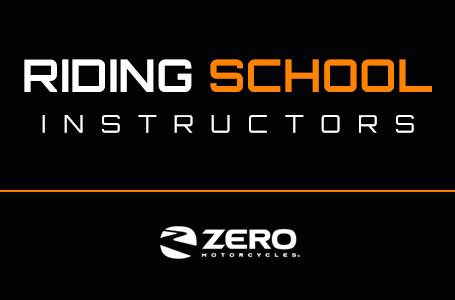 Certified motorcycle riding instructors with certified United States rider training programs including but not limited to Motorcycle Safety Foundation and California Motorcyclist Safety Program.